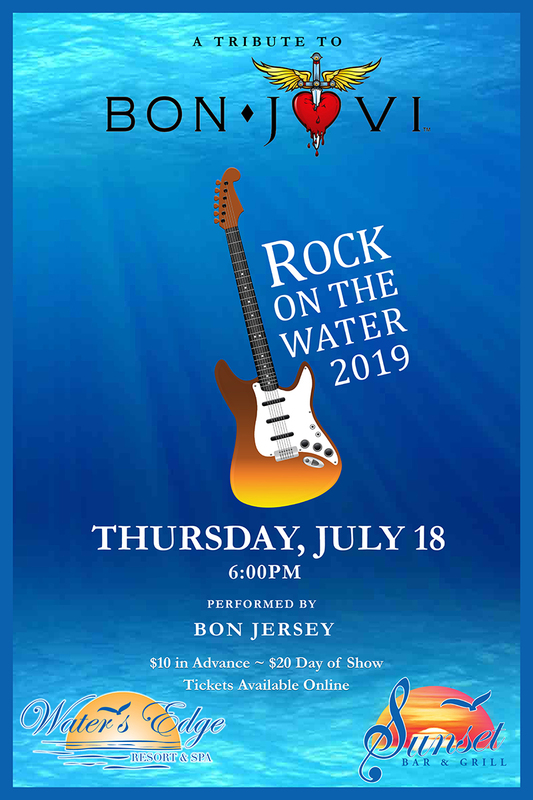 Come listen to the hits of Bon Jovi performed by Bon Jersey as you watch the sunset over Long Island Sound. The Concert will take place outside at Sunset Bar & Grill with doors opening at 5:00pm and the show starting at 6:00pm. No Outside Food or Beverage is permitted. Guests are not permitted to bring their own chairs. During the concert only ticketed guests will be allowed into Sunset Bar & Grill. The Concert will be moved to a ballroom in the event of inclement weather.